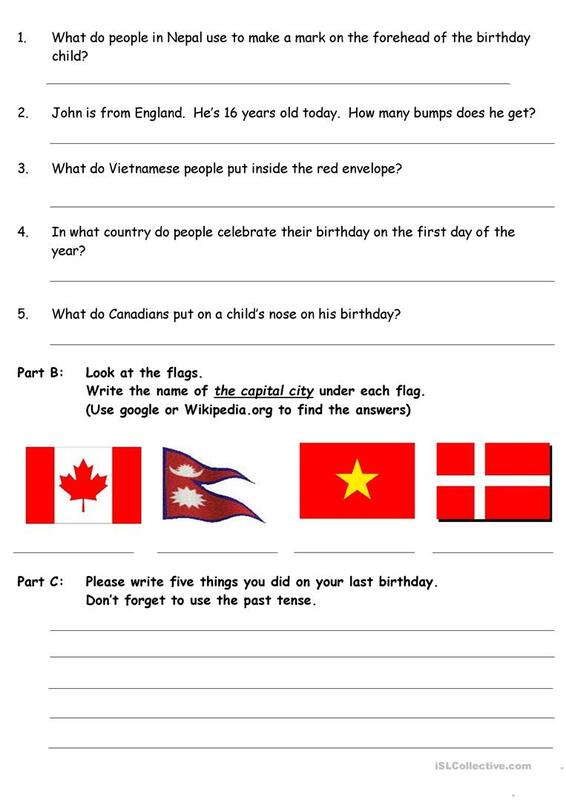 A reading comprehension for Elementary level learners using the present simple tense to talk about different birthday customs from around the world. This downloadable teaching material is best suited for high school students and elementary school students at Elementary (A1) level. It is valuable for consolidating Present simple tense in English, and was designed for enhancing your groups' Reading skills. 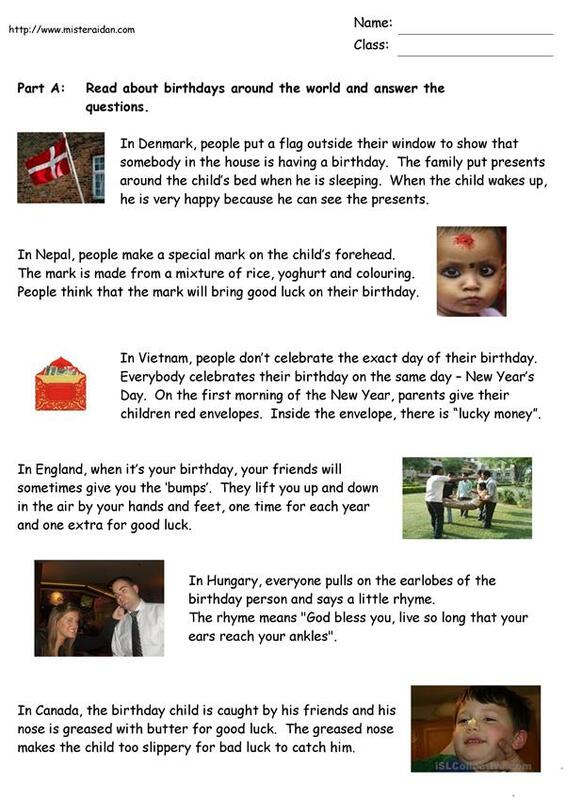 It is focused on the vocabulary topic of Birthdays.